The request to make Remembrance Day a national public holiday across Canada without removing any existing public holiday continues. On June 21, 2017, Bill C-311, An Act to amend the Holidays Act (Remembrance Day), passed third reading in the House of Commons. The Bill recognizes Remembrance Day (November 11) as a national legal holiday. The Bill changes the wording and status of Remembrance Day in the federal Holidays Act by making it a legal holiday, like Canada Day and Victoria Day. The legislation, if passed, would force provinces and territories that don’t recognize November 11 as a statutory holiday to revisit their own employment/labour standards legislation. The Bill was sent to the Senate for final approval and has received first reading. At present, provinces and territories determine which days are public holidays. Remembrance Day is recognized as a statutory holiday for federally regulated workers under the Canada Labour Code. In Alberta, British Columbia, New Brunswick, Newfoundland and Labrador, Northwest Territories, Nunavut, Prince Edward Island, Saskatchewan and Yukon, Remembrance Day is a statutory holiday under their respective employment/labour standards law. Employees get a day off with regular pay and/or holiday pay. If the employee is required to work on the holiday, the employee must be paid regular wages and get a substituted day off with pay at a later date (depending on the province or territory of employment). Federally regulated employees also have a holiday on Remembrance Day. Under Manitoba’s and Nova Scotia’s Remembrance Day Act, most industries are not allowed to operate on Remembrance Day, with exceptions. For instance, in Manitoba, the following industries are allowed to operate: hospital employees; hotel and restaurant employees; workers who do emergency repairs; and workers who supply heat, gas, light, water or electrical services, just to name a few. Employees who do not work on November 11 do not get paid for the day, unless the employer offers pay as an added benefit. In Ontario, Remembrance Day is not a statutory holiday. While some employers give their employees a holiday on Remembrance Day, they are not required to do so under the Employment Standards Act, 2000. Remembrance Day is not a statutory holiday in Quebec, as well. In Ontario and Quebec, Remembrance Day is a memorial day. In the United States, this day is called Veteran’s Day and is also observed on November 11. For more information on Remembrance Day holiday rules in your jurisdiction, PaySource, published by First Reference, is a good source of information. 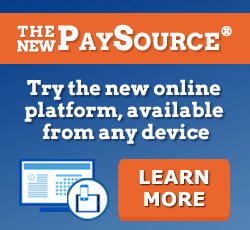 Click here to try PaySource free for 30 days! Remembrance is the cornerstone of The Royal Canadian Legion’s work in Canada. The Poppy Campaign is a major source of funds used to assist veterans, ex-service people and their dependants. A writer first made the connection between the poppy and battlefield deaths during the Napoleonic wars of the early 19th century, remarking that fields that were barren before battle exploded with the blood-red flowers after the fighting ended. Lieut-Col. John McCrae, the Canadian doctor who wrote the poem In Flanders Fields, made the same connection 100 years later, during the First World War, and the scarlet poppy quickly became the symbol for soldiers who died in battle. In November 1921, the first symbolic poppies were distributed in Canada.